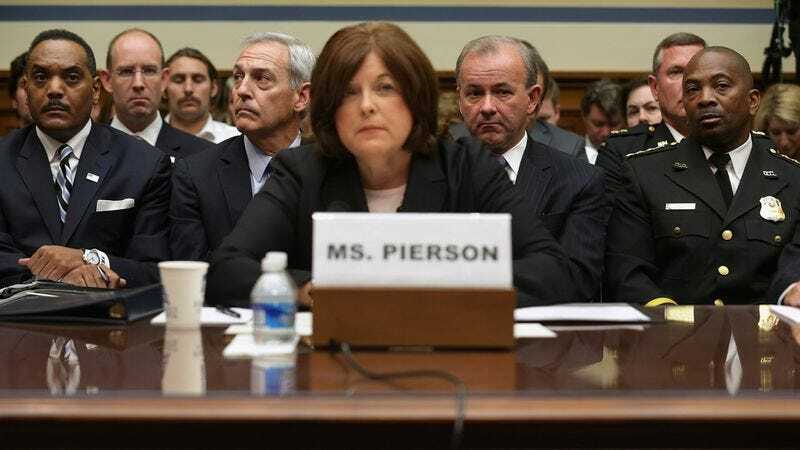 From allowing an intruder to run into the East Room of the White House to letting an armed felon ride in an elevator with the president, the Secret Service under the tenure of Julia Pierson definitely had their share of FAILS while protecting the First Family. Here are a few of their blunders that potentially put Obama in harm’s way. 1. Left The President Sitting In A Hot Car: During a meeting at the United Nations in 2009, the Secret Service accidentally left President Obama sitting in his limo with the windows rolled up. It was not until two hours later that the Secret Service realized their mistake and were able to drag an unconscious Obama from the sweltering car. 3. Almost Let The President Box Evander Holyfield: When President Obama challenged Evander Holyfield to a prizefight in Atlantic City, most Americans assumed that the Secret Service would intervene before they let the president box one of the most dominant fighters in the world. Embarrassingly, it took the Secret Service until a few seconds before the starting bell rang to step in and prevent the match. 4. Let An Ex-Con Burp The President: The Secret Service should have been able to prevent an ex-con from burping the president during a recent trip to London, but agents were too slow to act when convicted felon Charles Dornett picked him up in the street, burped him as many as four times, and rocked the president to sleep before being tackled. 5. 2011 Bo Obama Incident: An agent was relieved from his duties following a near-disastrous slip-up in 2011, when he let the First Family’s pet dog, Bo, back into the official residence without realizing that someone had replaced the animal with a dog-shaped pile of lit dynamite. 6. The Exhaust Port: The Secret Service have been rightfully lambasted this week for neglecting to adequately defend an exhaust port in the White House’s East Wing through which a well-placed torpedo could have reached the building’s main reactor and caused the entire facility to explode. 7. Washington Wednesdays: The popular weekly Secret Service promotion—in which anyone dressed up as George Washington could walk into the White House, no questions asked—was recently deemed a “serious security liability” and has been discontinued. It marks the first time in an era that the sitting president will forgo mingling with dozens of impersonators in a tradition that’s been observed every Wednesday for more than 40 years, including on September 12, 2001. 8. Put The President In The Microwave Just To See What Would Happen: Mistakes like this one indicate that there is a culture of ineptitude at the Secret Service.